With a backdrop this stunning, I like to keep things simple. The pool has a low profile and is accented with blue furnishings and planters, retaining the natural peacefulness and allowing nature to take the lead. Swaths are selectively mowed in the meadows to create spaces for sports and relaxation. 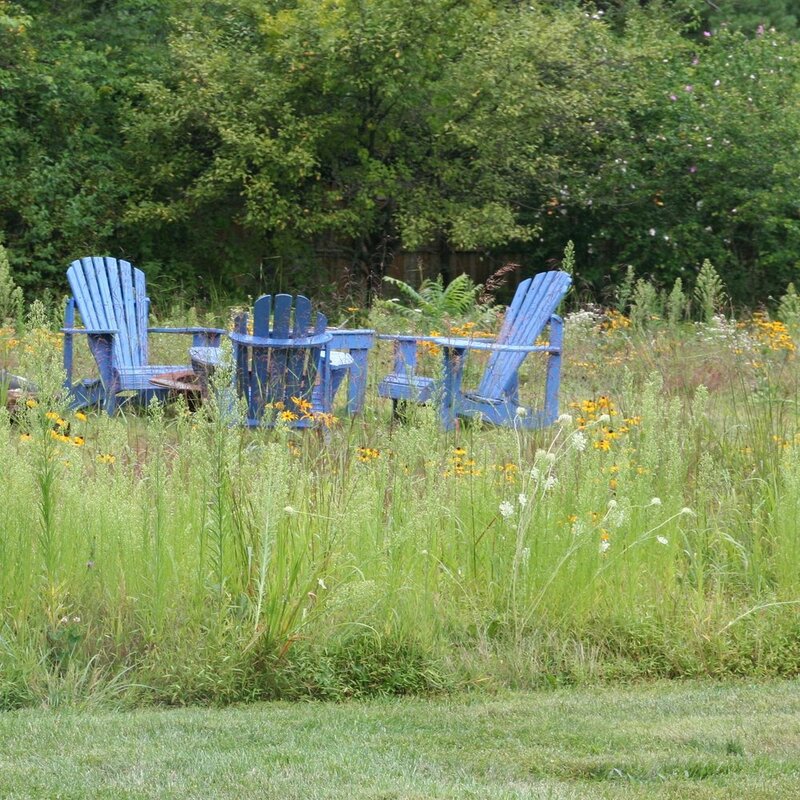 Stormwater was managed with a rain garden and bio-swale. This system is more passive than dry-wells and also provides plenty of pollinator plants for the native bees. Chickens and a pig also make their home here.